Dr Funk´s Son encased in a tower of crushed ice. Who is Dr Funk and who is Dr Funk`s son? 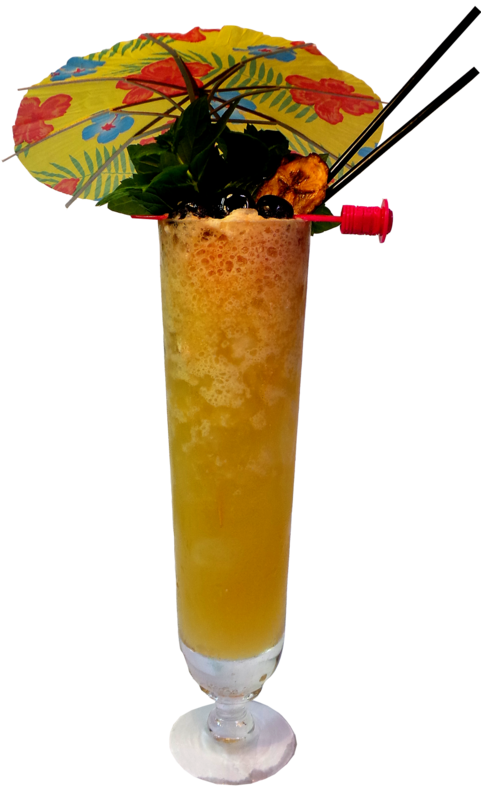 Dr Funk is a classic Tiki drink named after a a German doctor who practised in Samoa treating among others the famous author Robert Louis Stevenson, sometimes in the beginning of the 20th Century, maybe even earlier. 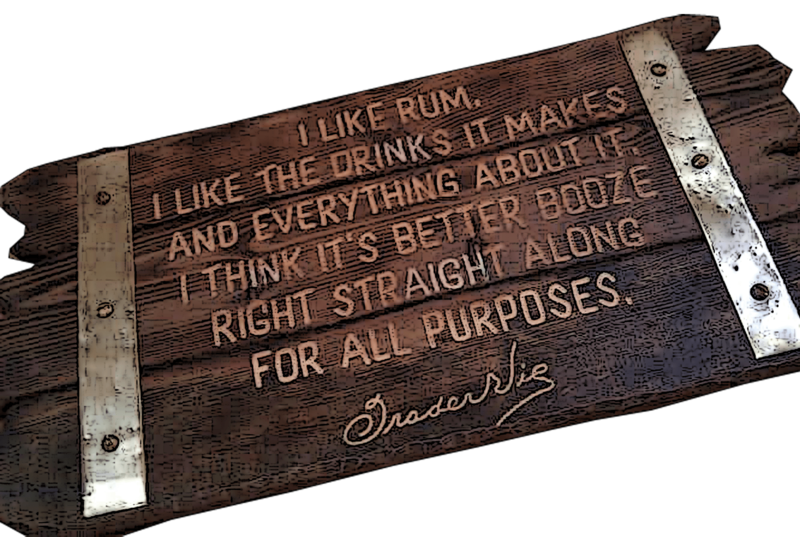 Most likely he created the drink as a medicinal tonic for his patients. The German Dr Bernard Funk was employed in 1867 to practise privately in Apia, Samoa in the eighteen-nineties. So how did a German doctor in Samoa wind up getting an absinthe cocktail named after him being served in a Fu Manchu mug ? That question remains to be answered…this cocktail was almost always served in some variation of the Fu Manchu mug, except Trader Vic’s Doctor Funk of Tahiti, which is served in a chimney glass. As far as i know the original recipe has never been tracked down because the mysterious Dr Funk has mutated too many times. First time i read about this drink i found it very interesting. I have read books about the South Seas since i was a child, and i can recall reading a book about Louis Stevenson. 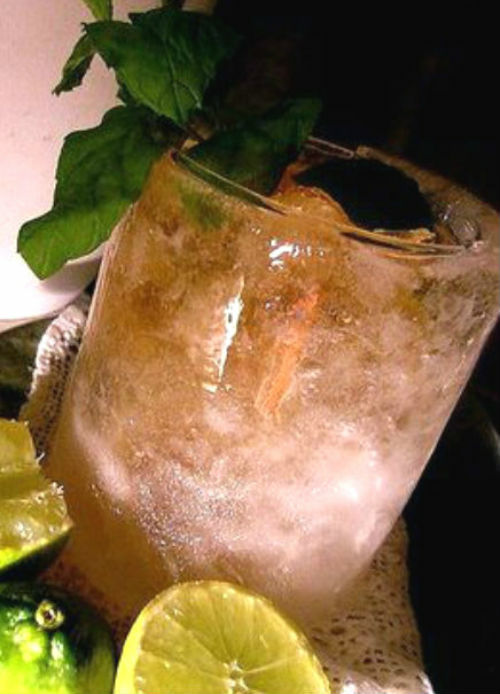 DR FUNK – Recipe from Beachbum Berry’s Intoxica! So who is Dr Funk`s son? I haven`t seen any instructions anywhere in to how to make this ice tower so i made mine by placing the glass inside of a plastic ”bucket” a bit bigger than the glass filling the space in between with water and the into the freezer overnight. For the crushed ice variety i filled the space first with crushed ice and the added water to freeze it all together. The one that is made with plain ice turned to be a bit cracked as the ice cracked a bit when i poured some warm water on the outside of the plastic bucket to loosen it from the glass. Put everything in a mixing glass with ice and stir, pour into a 12 oz glass. 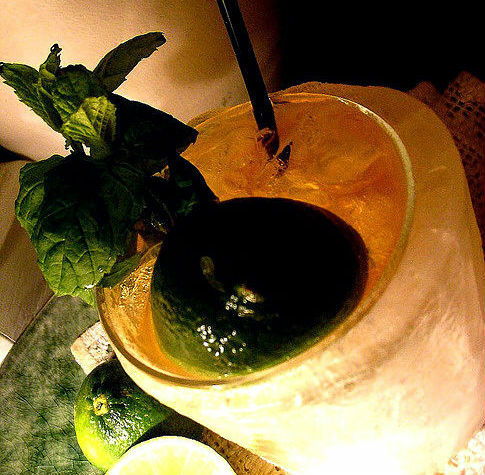 Garnish with mint sprig and lime shell and fruit stick. 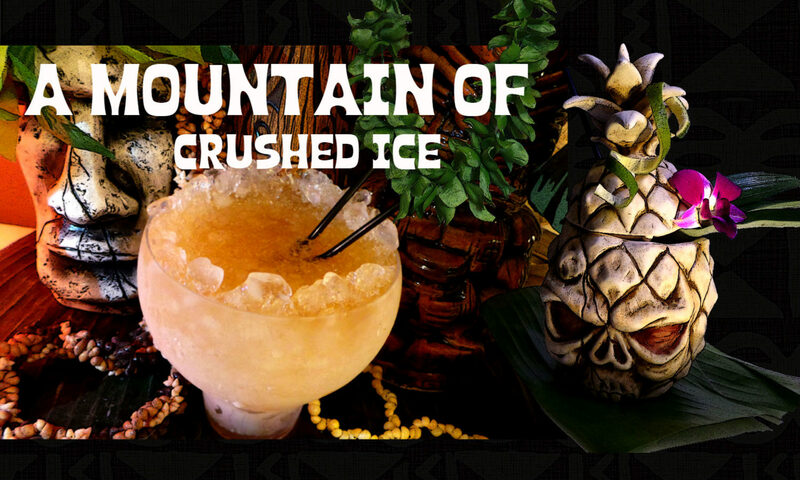 I must admit that half the reason for me doing this drink was for the excitement in making of the ice towers..and then i find the history of Dr Funk very interesting. Chris – thanks, and as for the timing..well, i don`t know..? 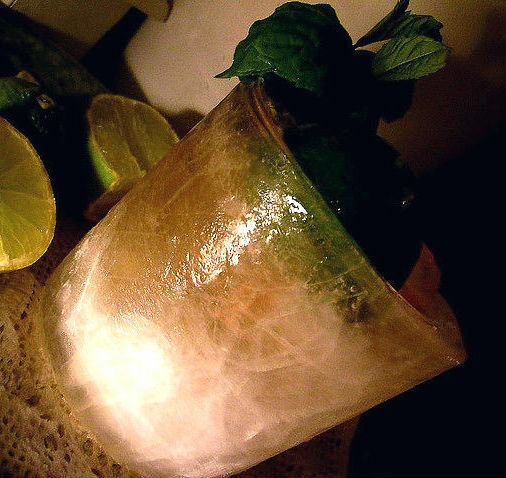 i had these ice towers lying in the freezer for a week before i got the time to make these drinks. Maybe there`s a icy mystic flowing in the air? Just a day before i was ready to post these drinks, Dr Bamboo, the best drawing artist on the planet did post one of the most awesome post and drawing i`ve ever seen – on the ice cone…duh..
Rick,i think its really fun to experiment with ice, and the glasses were cold but not too cold to hold for a little while. But that´s why they are always served on top of napkins..the ice melts quite slowly though. Franky – Cheers and thanks! Hi! Your blog has made my summer yummy! Thanks so much! Holy smokes those ice towers are awesome! Beautiful shots Tiare. The garnish looks quite fun. Was the glass too cold to hold on to?